Light minutely hazy light gold color. Muted, toasty aromas and flavors of buttered italian roll and pear tart with an even, soft, petillant, dry-yet-fruity light-to-medium body and a tingling, engaging, medium-length finish displaying notes of sprouts, lemon spritzed melon, egg croissant, and grass finish. A nicely dry and astringent kolsch that drinks like a refreshing lager. 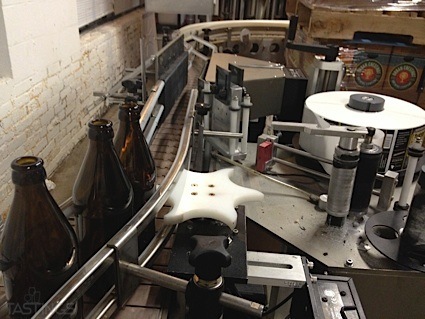 Bottom Line: A nicely dry and astringent kolsch that drinks like a refreshing lager. 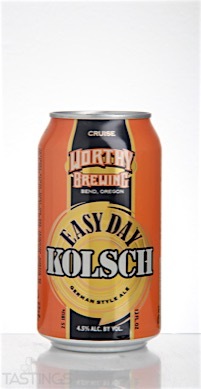 Worthy Brewing Co. "Easy Day" Kolsch rating was calculated by tastings.com to be 89 points out of 100 on 2/22/2016. Please note that MSRP may have changed since the date of our review.